The Cougars are trying to find the right balance between moving on with football and honoring their former teammate. 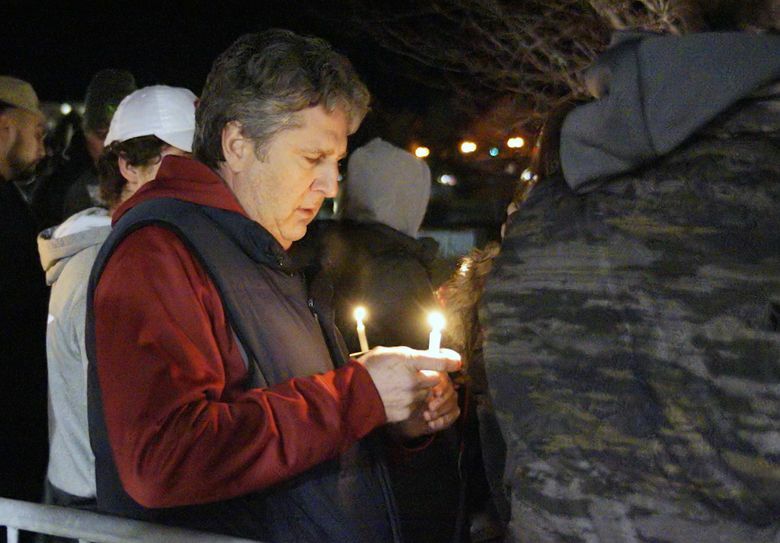 "I don’t think Tyler would want us to squander our opportunity," said Mike Leach. You don’t have to look hard in Pullman to be reminded of Tyler Hilinski, who likely would have been Washington State’s starting quarterback this season but died by suicide in January. All over town, businesses are selling Hilinski’s Hope wristbands, the symbol of the nonprofit founded by Hilinski’s family to bring attention and support to the mental-health needs of student-athletes. Cougars players will wear a No. 3 decal (Hilinski’s number) on their helmets, a Hilinski’s Hope flag will be raised at Martin Stadium before home games and Hilinski’s locker will be left untouched this season. It’s all part of WSU efforts to honor Hilinski and care for those left behind, while also going ahead with life, college — and football. Coach Mike Leach is trying to achieve the right balance in a situation for which there is no chapter in any coaching manual. He’s relying on his own feelings, his instincts and the guidance of professionals. Everybody’s keeping a close eye on the players, knowing that each person processes grief and emotion differently. “We have been working with their experts and making sure that we follow their guidelines and their recommendations,” said Dr. Sunday Henry, WSU’s director of athletic medicine. She is assisted by Jerry Pastore, a mental-health counselor, and Dr. Kate Geiger, a psychiatrist, who are also part of WSU’s athletic department staff. Suicide is the second most common cause of death among college students, and the numbers are rising. According to the American College Health Association, the suicide rate among young adults, ages 15-24, has tripled since the 1950s. Gonzales said Hilinski’s death affected the “entire WSU community and the entire Cougar family across the nation.” But among those most directly influenced, beyond Hilinski’s family, were his teammates. While the team must move forward as a unit on the field, there are differences in how individuals have processed the tragedy. “Some people were ready to move forward a long time ago, and some people are still having issues and still having difficulty moving forward,” Henry said. “So we continue to talk to our student athletes and educate our staff that there will be different ways in how they handle it. Leach said the months before summer camp began were an important time for his players. Leach, besides being the head coach, is also the offensive coordinator and quarterbacks coach, and worked closely with Hilinski. Like his players, Leach is processing the loss in his own way. Meanwhile, work continues at Washington State to prevent more suicides. For student-athletes, a mental-health screen is part of the physical examination they must go through. While Henry works with student-athletes, Gonzales works with all WSU students. Mental-health resources are discussed at orientation and there are mental-health workshops in classrooms and residential facilities, and “there are constant reminders of resources that are available,” Gonzales said. Henry said she has been seeing progress.